Have you ever wondered why Easter falls on a different day every year? Well, the date Easter falls on is based on the lunar calendar, so Easter is scheduled to fall on the Sunday that follows the full moon on or after March 21, also known as the Spring Equinox. So, in Western Christianity, Easter will always fall between 22 March and 25 April. You learn something new every day! It’s become traditional for people to give eggs at Easter but if you fancy giving something a little different we have a lovely selection of Easter products! 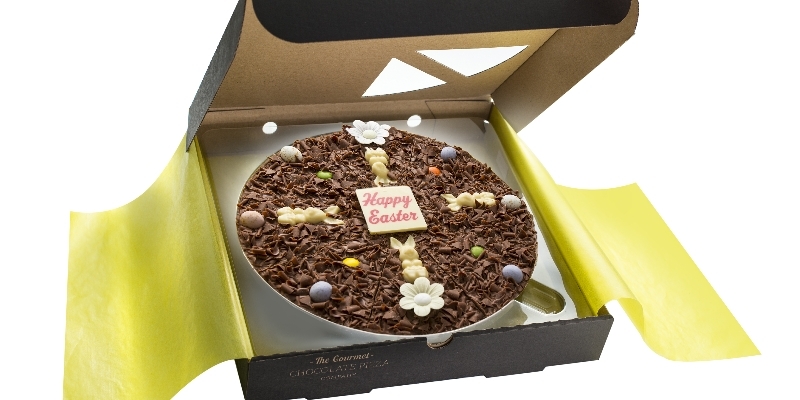 Our Easter pizzas come in three different sizes; the 10” and the 7” are beautifully decorated with chocolate eggs, rainbow drops, wafer daisies and handmade white chocolate bunnies. 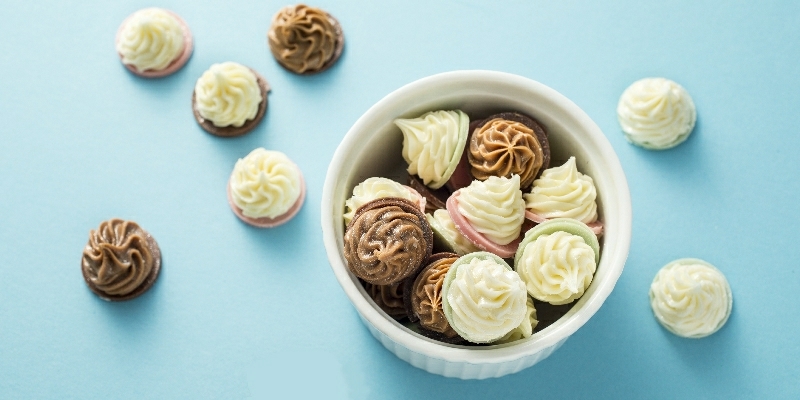 The 4” mini pizza comes in two designs, the Easter Egg Mini which is decorated with chocolate eggs and rainbow drops and the Easter Bunny Mini which is decorated with rainbow drops and a handmade white chocolate bunny. We also have an Easter Pizza Slice that is decorated with two chocolate eggs and milk curls. 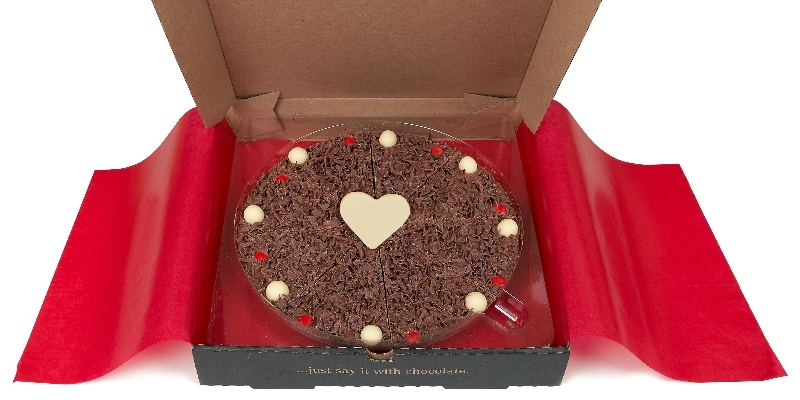 Try giving something a little more unique as a gift this Easter, I'm sure the recipient will not be dissapointed with one of our lovely pizzas!